Updated Wednesday July 18, 2018 by Quinte Baseball Association. The Royals were well represented this past weekend at the first ever Summer Sensation Tournament. 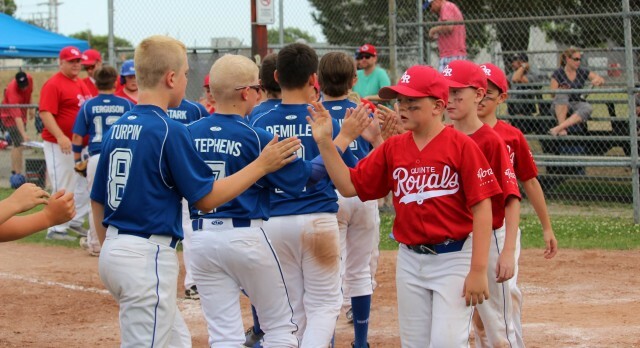 The Rookie Royals took on 7 other teams from across Ontario and made it to the semis of the tournament. The Mosquito Royals made it to the finals where the top 2 teams in the league were facing each other. Pickering and Quinte took each other to the limit and needed 2 extra innings to decide the championship. Pickering took the championship 12-9 in an exciting final game. External links are provided for reference purposes. Quinte Baseball Association is not responsible for the content of external Internet sites. Copyright Quinte Baseball Association All rights Reserved.